Lemonade Pockets: What's the sketch? Eveline Tarunadjaja is an illustrator living in Melbourne, Australia. Her illustration style is lovely - check out her shop, where she sells her original art work and prints. 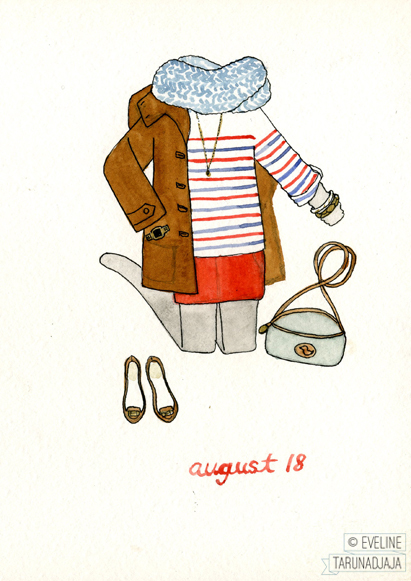 She decided to set herself the challenge of illustrating her outfit each day, like an illustrated fashion diary. 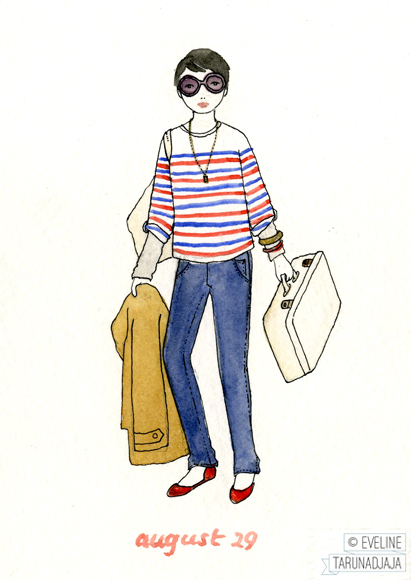 Her wardrobe clearly shows what she terms her feeling of "stripe affection" - something I can certainly identify with. It's a good example of how to dress for those transitional times of year, when the weather is unpredictable, and Eveline also masters the elusive art of putting together a capsule wardrobe - have a browse, and learn a few tricks. 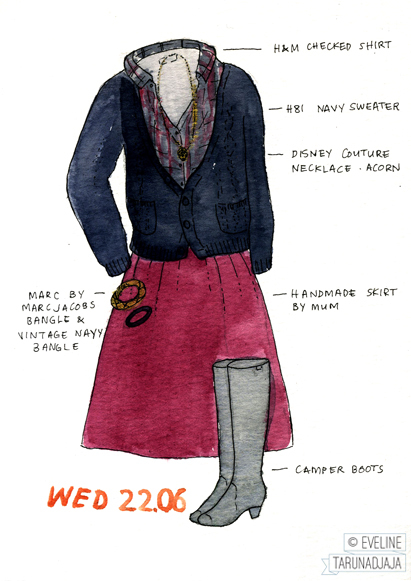 Here are some of her sketches below, or have a look at her Daily Diary to see more.